A powerful duo, to say the least. 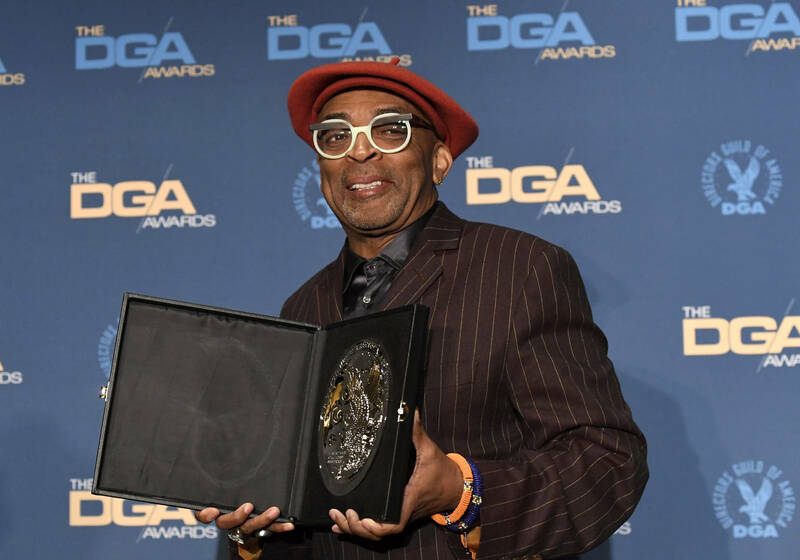 Spike Lee may have gotten seriously snubbed at the Oscars for his film BlacKkKlansman but that's not discouraging him from creating more magic behind the lens. According to Page Six, Spike has tapped Chadwick Boseman, Delroy Lindo (The Good Fight) and Jean Reno for an upcoming Netflix project titled Da 5 Bloods. The publication details how it will follow five Vietnam veterans "who return to the jungle to find their lost innocence," explaining further how it will cover "a group of vets who attempt to put their broken selves back together in a story about the redemption of one’s soul." The film has no release date yet, but keep it locked for all the details. Chadwick and his Black Panther team are probably still vibing off their Screen Actors Guild Awards win for Best Film Ensemble. Chadwick delivered an electrifying speech about diversity in the industry as he accepted the prestigious award. "We all know what it’s like to be told that there is not a place for you to be featured, yet you are young, gifted and black. We know what it’s like to be told there’s not a screen for you to be featured on, a stage for you to be featured on," he told the audience.